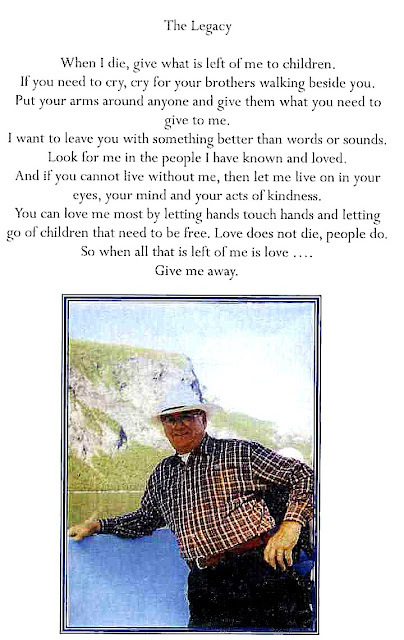 It was in the summer of 2008 that my dear Dad at 79 years of age, died. Admittedly, far from perfect, he was known to drink a little whiskey and have a smoke on occasion but he was also a very kind and wise man. He and Mom were always there for us and helped me to become the person that I am today. Dad had been a construction worker, heavy equipment operator and teacher. He owned racehorses and became their groomer and trainer. A nature lover, he would have wild birds ,squirrels and even raccoons eating from his hand. Mom would often say, "Oh, you know your father...he's outside talking to the birds again. "And he was. Like many people as they age, Dad mellowed. He became interested in learning about his ancestry and if I knew nothing else, I knew for certain that Dad loved our step-mother Madonna, his church, his family and all things "Mic Mac". "The Míkmaq are a First Nations (Native American) people indigenous to northeastern New England, Canada's Atlantic Provinces, and the Gaspé Peninsula of Quebec. Traditionally spelled Micmac in English, but Mi’kmaq (singular Mi’kmaw) by the Míkmaq of Nova Scotia, Miigmaq (Miigmao) by the Míkmaq of New Brunswick, Mi’gmaq by the Listuguj Council in Quebec, or Mìgmaq (Mìgmaw) in some native literature." -Emmanuel Metallic et al., 2005.